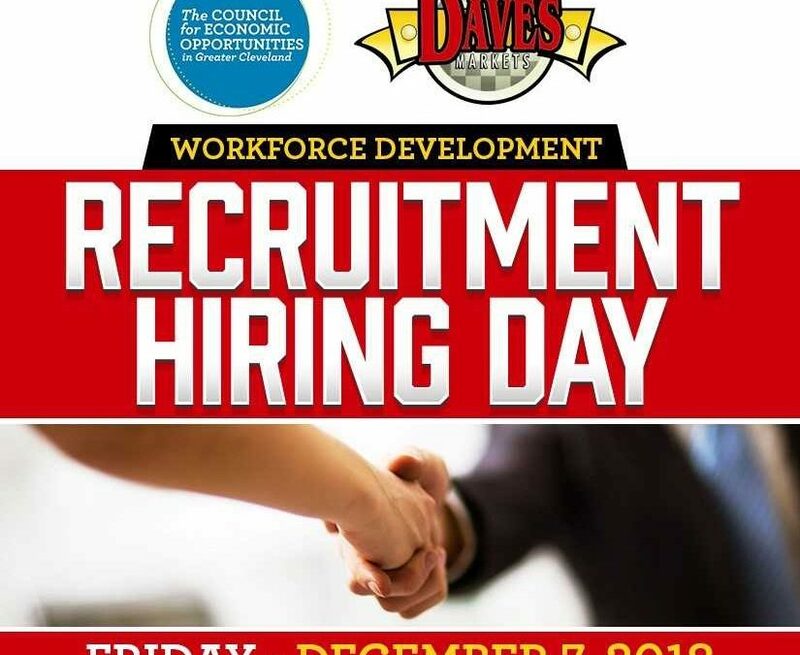 Workforce Development is hosting another Recruitment Hiring Day, sponsoring with Dave’s Markets! There will be interviews for part-time positions regarding all 12 Dave’s locations in Cuyahoga County. To be eligible for hire all applicants must be 18 & up and be able to work nights, weekends and holidays for up to 28 hours per week. Bring your resume, dress professionally and prepare to walk out with a new job opportunity! For more information, call: (216) 651-5188.